Cosmetics and personal care manufacturers consume enormous volumes of both synthetic and organic powders every year. These vary from clay minerals and starches to synthetic polyethylene powders, each of which may be used in their raw form, blended with additional powdered materials, or integrated into a continuous- or solid-phase end-product. The variations in cosmetic and personal care manufacturing are myriad – as are the thermomechanical and microstructural properties of primary raw materials. 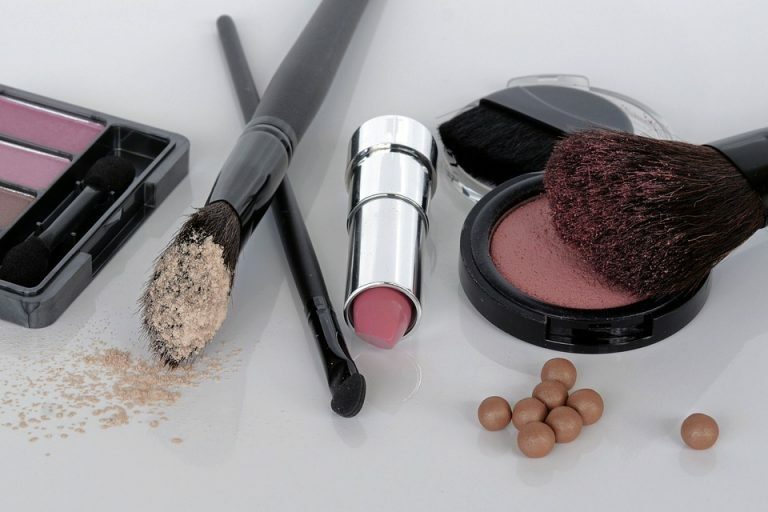 Particle size, shape, and powder flow behaviour are all critical factors for consideration in the production of cosmetic and personal care products. This blog post will explore the importance of powder flow in cosmetic and personal care products in greater detail, with a focus on the powder flow properties of talcum powder. Hydrated magnesium silicates form the basis of talcum powder, which is used in enormous quantities as an intermediate material for adult face and foot powders, shower lotions, makeup, and more. It is also routinely blended with varying concentrations of corn starch to produce baby powder. The abundance of talcum powder in cosmetics and personal care products can be explained by the material’s raft of desirable traits. Excellent moisture and fragrance retention, high softness, and good chemical inertness makes talcum powder an excellent intermediate for producing pleasant, skin-friendly products. Talcum powder can also be used as an active excipient due to its glidant nature. It boasts exceptional lubricity and can subsequently reduce the interparticle friction between particles of additional active ingredients; subsequently improving powder flow rates. Glidants can also decrease the surface charge of powder particles to reduce undesirable particle agglomeration. The high flowability of baby powder is explained by the fact that both talc and corn starch are glidant materials. They are responsible for the end-product reaching a semi-fluidized state when dispensed through a standard applicator, for ease of application and good body coverage. Poor powder flow would limit dispensability and could cause textural inconsistencies, which can block the apertures of dispensers and limit dosing efficiency. Glidant materials act by reducing the macro-product’s angle of repose to maximise flowability. This is typically assessed by measuring the steepest angle of descent for powder particles in a rotary drum and imaging the avalanching effects with a high-resolution digital camera. It is important to measure the powder flow of even glidant materials as they only exhibit a beneficial mechanism of action up to certain concentration ranges. Above their optimal concentration levels, talcum powder and corn starch will begin to inhibit powder flow. Cosmetics and personal care manufacturers manipulate the mechanical properties, such as powder flow, of their products to achieve an optimal end-product state. The suede-like texture of face powders and the abrasive behaviour of exfoliants are achieved by finely tuning the microstructural properties of distinct product recipes and individual ingredients. This demands high-performance particle and powder flow analysis to ensure that intermediates and end-products are fit for purpose. The Mercury Revolution from Meritics is an advanced powder flow analyser for measuring the dynamic properties of samples across a rotational speed range of 0.1 – 200 rotations per minute (rpm). This can be used to image the peak and avalanching properties of samples to determine powder flow characteristics for research and development or quality assurance and control. If you would like to read more about this subject, we explored 3 Applications of Powder Flow Analysis in a previous blog post. Or, contact us directly with any specific questions.